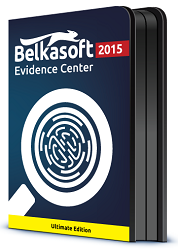 Belkasoft announces an upcoming release of their flagship all-in-one forensic product. Belkasoft Evidence Center 2016 comes with a substantial number of improvements and new features that are to bring the product to a new level of convenience and effectiveness in working with digital evidence. In the new release, we added a lot of new supported artifacts, including a significant number of mobile apps such as browsers, payment systems, messengers, and social networking apps. At the same time, we refined the interface in such a way that it is now more convenient to work with the increased amount of artifacts. In particular, we reworked artifact selection window, and added filters that allow you to sort items by text, metadata, date, or other criteria. Besides, evidence search engine was empowered and now works faster than ever. One of the newly added important features of the product is hashset analysis (uses NSRL hash database). These and many more other changes and enhancements of the new version will be covered during our free webinar “Enhancing digital investigations with Belkasoft Evidence Center 2016”. The webinar will be conducted by Yuri Gubanov, Belkasoft CEO & Founder and a renowned expert in digital forensics. The webinar will feature a presentation with an overview of the most significant improvements and new features of Belkasoft Evidence Center 2016, as well as questions from the viewers, answered live.